And I never thought of it. Never seen anyone do it. I've never had this happen, but most of my vintage bike miles were done decades ago when I was 20+ pounds lighter than today with original equipment. I think I even did off-road MTB rides with horizontal dropouts. But I'm glad I'm seeing this thread, as I am now riding many miles on a re-made retro bike with new wheels and a powder coat job. The dropouts were forged, but are now smoothed over with powder coat. I worry that this smoother surface will allow slippage. Maybe I will file it down. I am also using new DT Swiss skewers that tighten down with threads. They seem really tight (the levers basically become wrenches, and then you can reposition the lever after its tight). I have no idea how this compares to the the old-fashioned cam system in terms of compression force, but they seem tight... But after reading this, I will go back and re-examine this whole system. FWIW, I am shocked that the powder coat hasn't worn away or scratched EVEN WHERE THE QUICK RELEASE/HUB MEET THE DROPOUTS. That speaks to the durability of powder coat, I guess. ...My theory is that these drop outs had a harder steel than the Campys and so made it harder for the hubs/QRs to get the needed bite. All I know is that, for me, Campy horizontal drop outs = no problems, other horizontal drop outs = possibility of problems. +1. As I slowly waded my way through the discussion, the question of material seemed to the critical parameter that had been ignored. To allow the serrations of the QR nuts and locknuts to embed into the dropouts faces, the dropout material has to be significantly softer than that of the nuts. Normally, dropouts are fabricated from very malleable steel, to allow this and to facilitate alignment. However, if the dropout material is too hard and/or the nut material too soft, then the wheel will be more prone to slippage. 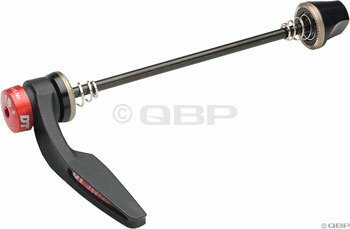 I haven't had a close look at a lot of the external cam QR skewers but I'm wondering if part of their poor reputation is due to material selection? It seems to me that their prime marketing directives are low weight and/or low cost. Lower weight and cheaper materials are typically softer, so the problem may not be inherent in the basic design, as has been suggested. ...Vertical dropouts also allow more precise positioning in relation to the derailleur hanger, an important parameter for modern indexed shifting systems. +1. While they go back to the early days of derailleurs, the big move to vertical dropouts occurred after the market shift to indexed shifting systems. The chain gap from the freewheel cogs to the top pulley is critical for the optimum performance of indexing derailleurs. However, the vast majority of owners (and shop personnel) were unaware of this and their tampering with wheel position would cause deterioration of shifting performance. Vertical dropouts tamperproofed a critical performance parameter, reducing customer complaints and facilitating maintenance. There was one less mystifying variable to deal with. It not just track bicycles. Pre-derailleur road racing bicycles were the same and were often marketed as road/track bicycles. 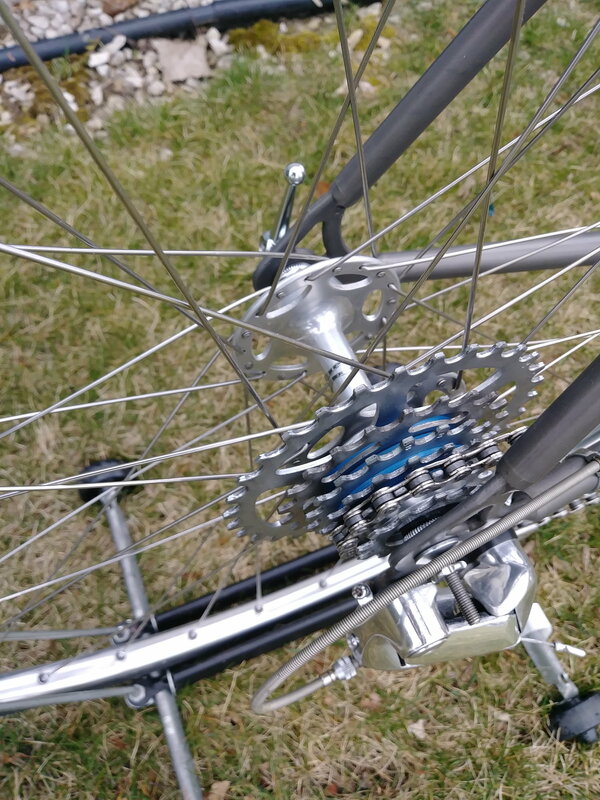 The rear fork end slot length had to accommodate flip-flop hubs with a small fixed gear cog used on the flats and a larger, freewheel cog used on major climbs and descents. Campagnolo's Cambio Corsa derailleurs also used wheel position, rather than chain tensioners, to deal with different cog sizes and the proprietary dropouts had very long slots. Once in a great while, I have a rear wheel slip or lock up due to QR slippage. About 1/2 the time it's my fault (being in a hurry) and about 1/2 the time I know they were tight. As others have said, some QR skewers are better than others, and some dropouts and QR's seem more prone to slippage. Some Zipp, a lot of Chairman Mao's stuff. The really light ones that come with some modern wheels don't exactly inspire confidence for that next wicked climb. If I have a bike it's happened to more often than others, I add a #5 hex wrench and non-QR skewers to that bike. I have them on 2 of 17. I should put them on all of mine, but a-I'm lazy and b-the good ones are expensive. The cheaper ones tend to have poor quality/specs where the wrench fits, and ream out over time. I don't so much worry about why, I just try to make sure it doesn't re-occur. It does happen, to which @nomadmax can attest. Last edited by RobbieTunes; 04-10-19 at 10:39 AM. Someone should take his Bob Jackson away. Is wgscott really of the opinion this is a design defect? Really? Is this a nanny state thread? Is it just possible this is actually his fault for failing to have adequate tension in the skewer? Is personal responsibility that hard of a concept to grasp and to accept? There is no mechanical system that can be made fool-proof. There are too many fools in the world. Maybe we should adopt a system such that you are not allowed to work on your bike without a certification, part of which would include how to properly tighten a skewer. I outweigh you. I bet I out stomp you. I live in mountainous terrain. I have never done what you did (fallen from a loose skewer). I am sorry for you that it happened but it is no one's fault but your own. How about track drop outs and adjusters? They cannot move forward unless something breaks (and they do). I should delete this post, as I am going to get banned for it. Where have I suggested the fault lies elsewhere? In the thread title, for one. Last edited by SurferRosa; 04-10-19 at 03:20 PM. Reason: wgscott's command about posters' mothers was removed, so my reverential reference about Oedipus made zero sense. 1. Lots of old bikes like mine have these forward-facing dropouts. 2. Most modern (multi-speed) bikes do not. 3. My question (i.e., not an assertion) was to ask whether these fell out of favor because they were determined to be a design flaw or hazard. 4. I then explained that I started thinking about this after my wheel slipped in the dropout and locked onto the frame under high torque. I also speculated that this might have happened because I might have (I still do not know) imperceptibly and incrementally loosened the quick release while taking the bike off of a trainer. No where does any of this suggest that it was the fault of anyone other than me. 5. Do try to make an attempt to keep up. I was riding my Bianchi today. ...As I was standing and hammering up a hill in what was probably a too-high gear, my wheel moved in the dropout. I have closed-cam Crampy quick-releases. I guess I just didn't have it on tight enough. I just took the bike out of my trainer, so it is possible I somehow loosened the QR a little bit when I did that. Last edited by wgscott; 04-10-19 at 11:41 AM. Those are interesting questions. I have or had some cheap external cam QR, and some much nicer ones made from very good materials (Hope). The better ones were strong enough to secure the rear wheel even on horizontal dropouts, but the force required was high (ultimately I realized it was a dumb idea). The cheap external cam QR were noticeably not as good. Even so, it seems to me it's a mostly a matter of leverage and design, and even the cheapest internal cam QR is more secure than the best external cam QR. FWIW I remember a lot of people using OMAS or Avocet/Ofmega skewers and other similar quick releases BITD. Those were basically the campy design, but with aluminum alloy end pieces. I don't recall anyone having problems with them on horizontal dropouts. I get the advantage of hard steel serrations, but in practice, with enough force, even aluminum seems to work. The horizontal dropouts on my '74 Internat'l have been a key design feature in it's versatility, keeping it in service for decades. It's been fitted out OEM w/ tubulars, converted to/from FG for winter base miles and now sports an AW/Hybrid drive-train for town bike duty. I've seen where the spiroid spring got deformed to a degree that it didn't compress freely and completely, but resisting an internal-cam QR takes hella force that the spring wouldn't likely hold up to. Measure the axle extension past the face of the locknut, 5mm or 5.5mm should be the max for use with steel dropouts. Viscount used brass locknuts on at least some of their hubs, these were extremely prone to slipping. You'll want locknuts with sharp, hardened knurling to help with digging into any chromed or titanium dropouts. Some lightweight hubs have mere aluminum surfaces contacting the dropout, but this has become a thing of the past at this point. Lubricate the internals of the cam with a drop of light oil. Make sure that the nut engages at least six threads on the QR shaft since the QR is older than the hub. If all is right with the above, the QR should retain the axle even with granny chainring on steep climbs. I always apply added down-force to the stem or saddle when securing QR levers of front or rear wheels, respectively. 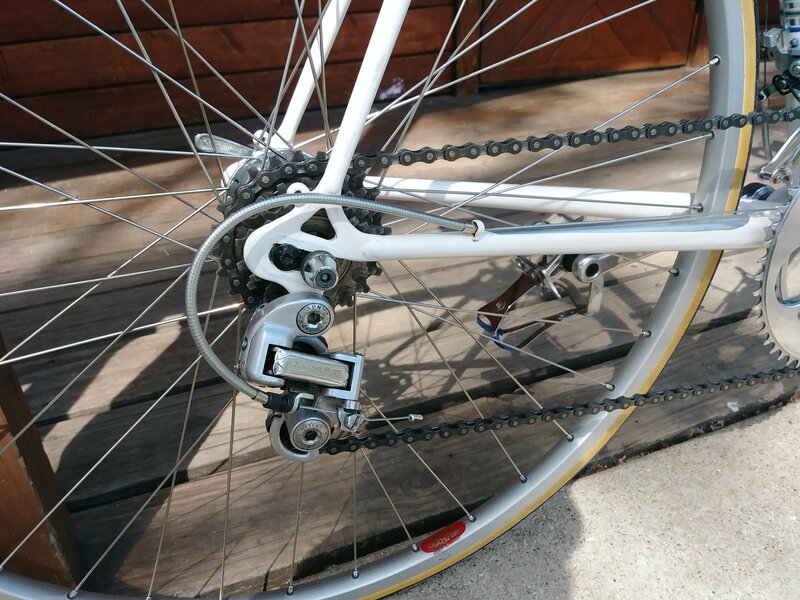 Especially with today's lighter bikes, the chain tension is sufficient to deter the axle from fully settling into it's loaded position in the dropout slot, increasing the chances that the axle could shift slightly under load while riding. And if that shifting were to occur while the chain tension is highest, possibly some forward movement of the axle could result. +1; and, from the "don't overlook the obvious" department, if the locknuts are knurled only on one side, make sure that side of the nut is outboard. Yes, I've seen them reversed now and then. Perhaps some people think the knurled surface is for locking the locknut to the cone, rather than for gripping against the dropout. My theory is that these drop outs had a harder steel than the Campys and so made it harder for the hubs/QRs to get the needed bite. All I know is that, for me, Campy horizontal drop outs = no problems, other horizontal drop outs = possibility of problems. Traditional forged dropouts like the Campagnolo 1010(A/B) a similar were forged from relatively mild steel to allow for alignment and presumably "bite" for the quick release. Starting around the mid 1980s, dropouts made from 4130 steel, investment cast dropouts, etc. started to become popular. These are more difficult to align and afford less "bite" than the milder steel dropouts of the past. The horizontal dropout on my '76 Viscount seemed suspiciously inadequate. Poor design. There's no teethed nut to grip the slots but also lacks a stop or rear adjustable screw. I paired up some odd aluminum screw and recessed flat nut for the backside (used on both dropouts) which compresses to make as an adjustable stop. A single Allen socket wrench accessible on the outside is all that's needed. The backside nut partially rest its flats inside the dropout slot so no extra wrench is needed and theres no interference issues for chain and cog. Works great and cheap insurance. Last edited by crank_addict; 04-10-19 at 02:30 PM. Here's another scary dropout, same era as the Viscount depicted above. A 'very' thin titanium by Teledyne but fortunately is a vertical design. Ps. The included springs with these lightweight Taiwan Ti / aluminum skewers were standard and likely compatible with typical width dropouts. Though NOT for the thin type on the Teledyne. Regardless, I don't think they're needed but did trim the springs outer large diameter end. Last edited by crank_addict; 04-10-19 at 05:13 PM. Let me spell it out for you. I will type slowly so you won't get even more confused... Do try to make an attempt to keep up. Like your post that was deleted, I have little need to read this kind of thing. Putting you on ignore. Do the same for me. Thanks in advance. Then please don't post accusations that you cannot back up. Last edited by wgscott; 04-10-19 at 05:24 PM. It would be nice if you guys calmed down. If all you have is criticism then please move on. Vertical dropouts are the best solution for sure for someone that can put the pressure to the pedals. Most of my bikes have horizontal dropouts and when climbing on the pedals I've had this happen a number of times. Gear side pulls forward and tire hits opposite chain stay. 1. Get the Dura Ace (preferred) or Ultegra quick release. Don't guess with the others. 2. I now take the extra step and mark the stay around the QR nut/clamp. I then use a grinder to remove some metal behind this mark so that the QR sits a little lower and doesn't ride up over the ridge. It works but takes time to do. I used to make clips that went over the QR axle (hole in clip) and were bent so they went over the rear of the drop out stopping the wheel move forward. Sorry, I somehow missed this excellent advice. Thank you. I have the Dura Ace ones on the 2014 bike, and the Ultegra ones on another bike. The difference ($20 vs. $50) appears to be primarily that there are no plastic parts on the Dura Ace. They have been absolutely solid on my other bike, and completely solved my (minor) problem of the wheel moving very slightly in my Enve CX disc gen 1 fork. If you still have one of those clips you made, could you post a picture, please? Is that just a wingnut you spin to tighten ? Pretty much, yes. I posted a video somewhere around page 3. The guy demoing it broke his. If you over-tighten, apparently it can pull the threads out of the nut. I could easily see that happening to me. The newer generation replaced the "flimsy plastic" with aluminum. Until I came across that posted video, everything I heard about them was positive. I almost bought them for my other bike, but went with the Dura Ace levers instead. The QR was by no means loose. I had to pry the thing open while lying in a pool of blood in the middle of an interstate highway. Same reason a fork with dropouts facing down and back with disc brakes is a design flaw. So that you can put a very close to the seattube wheel/tire combo in there and then move the wheel rearward so the tire doesn't rub on the seattube.